Fightin' Spirit is a Beat'em Up game like Street Fighter and Fatal Fury on other platforms. 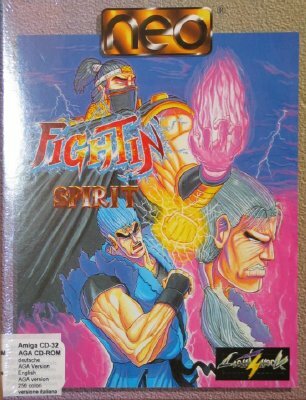 On the Amiga, Fightin' Spirit is often regarded as the best game of the genre. "Basically, if you're into beat-'em-ups, you'll love this. If you're not, then this might just persuade you to like them."